The Two Stroke amplifier is a fantastic first, second, or anytime build. It sounds absolutely fabulous and allows you to experiment with power tube options. The kit comes with three different power tubes so you can hear the differences. The combination of the Jensen C10R 10″ speaker and the C8Q 8″ speaker give this little amp loads of character. It runs between about 4 and 11 watts depending on which power tube you install. 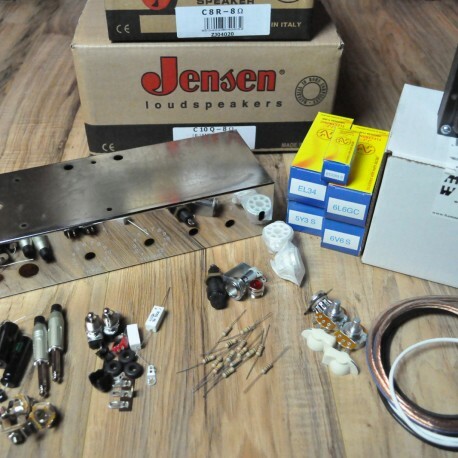 If you always wanted to build you own guitar amp, this tube amplifier kit is the perfect starter. We have found that one of the best beginning resources on tube amplifiers is Dave Hunter’s book “The Guitar Amplifier Handbook”. In this book, Dave gives detailed instructions for building an amp called the Two Stroke. 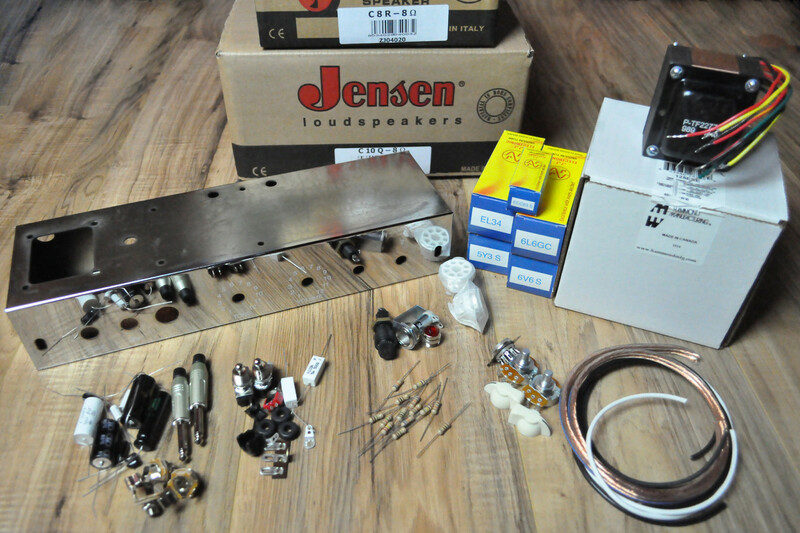 In the interest of helping people build this fantastic amp, we have assembled this tube amplifier kit with all the parts necessary and are selling it for nearly the cost of parts.